We crossed the border into South Australia this morning and we were greeted with the dry and desolate beauty of the outback. So many people have asked me why in the world would I want to ride my motorbike through a part of the country which is considered by many Australians as one of the most boring there is – but not so. This landscape is ever changing, diverse and simply beautiful. And exciting too. I almost got taken out today by a massive emu crossing the road – just behind Steve who was riding in front of us and just a few feathers shy of my front wheel. You just can't see those silly birds – they just look like a big shrub from the distance and they wait for the most suicidal moment to cross the road just in front of you! Its not like that they cross early because there are a bunch of motorbikersn appearing on the horizon, no, they almost wait for the opportune moment to run into something – usually YOU! But best part today was heading towards Hallet where the landscape turns from very arid with barely any vegetation into lush green, ariable land with a massive wind farm along a ridgeline. We could clearly feel why they put the turbines here since we were riding for many kilometres in a sight angle due to sustained cross winds. 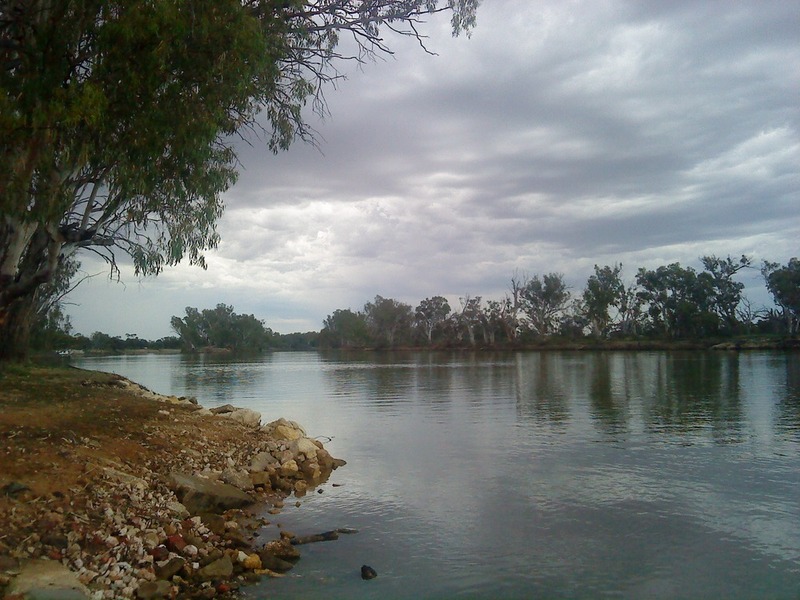 Today's final destination was Loxton, which is locate on the Murray River (see photos). You can clearly see why water is such an important issue for this region, since the river seems to make endless citrus plantations and vineries viable in the first place… You may say: no water, no wine (or orange juice). 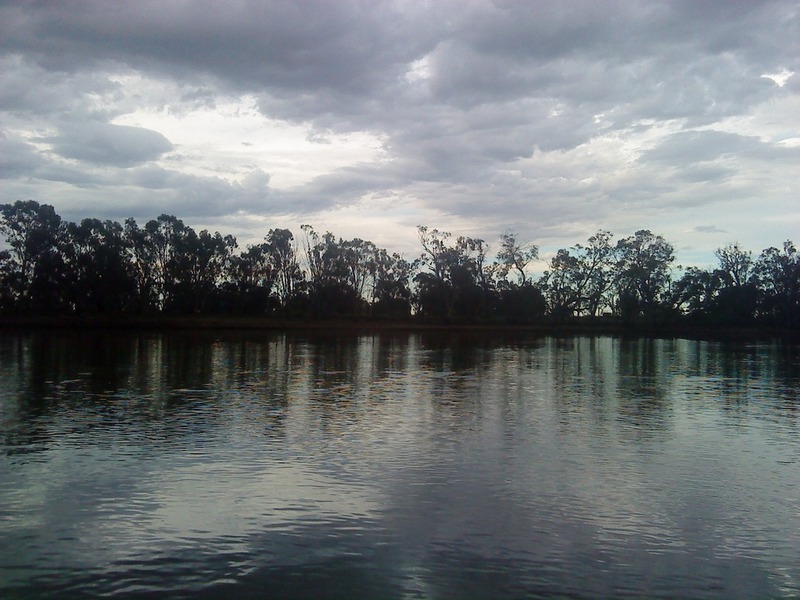 This entry was posted in Long Ride 2011 by yamarider. Bookmark the permalink.